Hey Guys, I'm havin trouble. 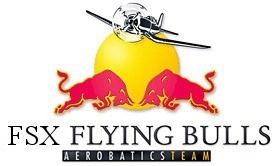 FSX Flying Bulls » FSX Fly Bull Topic » General Discussion » Hey Guys, I'm havin trouble. i've been screwed over again with my computer. i don't know how long i'll be away, but i am trying my best to get my p.o.s computer fixed. hope to be back in the skies with ya'll soon. thanks. Hope everthing works out for you and your computer hope to see you soon man.